First, let me take this opportunity to wish you all a very happy, healthy and prosperous new year! 2016 was an excellent year for Xiris with weld camera sales increasing over 110% from 2015. There are many markets and factors contributing to this increase, including; industrial automation, specifically robotic welding, additive manufacturing, demanding quality assurance requirements, focus on operator safety and education. When you have a moment, take a look at our incredible collection of videos that are now categorized by process and provide examples of most weld processes out there. Enjoy! With the advent of high dynamic range weld cameras, such as the Xiris XVC-1000, images of welding processes can be made with enormous ranges of brightness. As a result, it is now possible to monitor and record good quality video of most welding processes using an HDR camera. With good quality images of the weld pool, arc, and seam, the next logical step is to incorporate image processing into the camera system to extract additional information to help operators better control the welding process. The Edge Detector tool from Xiris is a powerful edge detection and analysis utility that can detect edges, or areas of rapid contrast change, within a region of interest. When used with a weld camera, the edge detector can help find the size and position of numerous features in a welding scene such as wire width and length, weld seam gap or center, molten pool boundaries or torch tip edge quality. The Edge Detector generates a projection of intensities from a region of interest into a profile, then analyzes the profile to find presence of edges. Each edge has a series of properties such as edge strength, expected polarity and location that can be used to measure or sort each edge so that objects in the weld environment can be analyzed. The net result is a new way for fabricators to enhance the monitoring and controlling of their weld processes. By incorporating image processing tools such as an Edge Detector into their weld camera systems, machine builders can measure features of their weld processes in a way that has never before been possible. 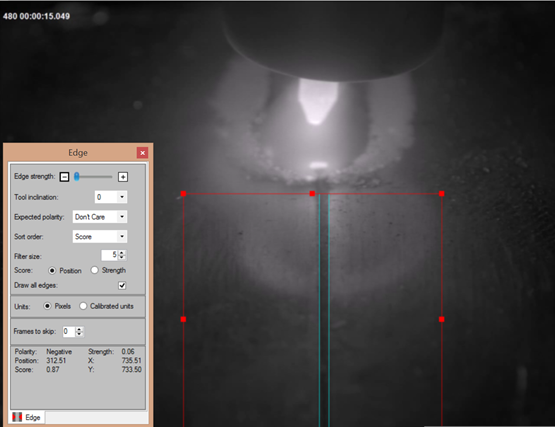 It is now possible to find edges in an image, such as the weld wire, or seam, that could allow for further monitoring or analysis, or form the foundation for seam tracking or weld pool geometry analysis. The Beijing Essen Welding and Cutting Fair is one of the world’s leading welding exhibitions and the largest and the most influential welding trade fair held in China every year. In 2015 the fair had almost 24,000 visitors attending from 50 countries, and almost 1,000 exhibitors from 28 countries. Anticipating an even bigger show this year, Xiris expects to be very busy! We will be demonstrating the XVC-1000, XVC-1100, and XVC-1000e weld cameras for Open Arc welding. Using leading-edge technology, our open arc weld cameras combine a spectacular 140+ dB High Dynamic Range imaging capability with power over Ethernet, a full suite of welding-specific imaging software tools, and a host of unique features to provide unprecedented image quality of a variety of welding and laser processes. 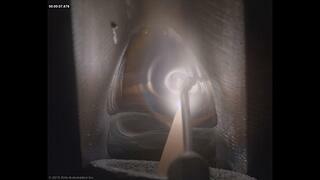 The camera allows the operator to remotely view the weld arc and its immediate environment up to 100 m away. The camera comes packed with functionality designed to maximize image quality and reliability, including image triggering, general purpose I/O, image windowing capability, and a weld arc photodetector. We are looking forward to the show and hope you will stop by to see what our weld cameras can do for you! Additive Manufacturing refers to a process whereby 3D design data is used to build up a component by depositing successive layers of material to create the shape required. It is also referred to as "3D printing" and can be used to create almost any shape or geometry that is generated from a 3D CAD model. It is called Additive Manufacturing because material is added together to form a part, distinguished from conventional manufacturing where material is removed to form a part. To form a part, layers of specialized powder or special filament wire can be melted together using a Laser or weld head under a motion system to create the shape required. This is a fairly new field that is attracting lots of Research and Development to create better processes, powder and wire materials, and bonding techniques. However, the development process typically requires long run times of the additive manufacturing equipment that is very labor intensive to watch the entire process in real time. 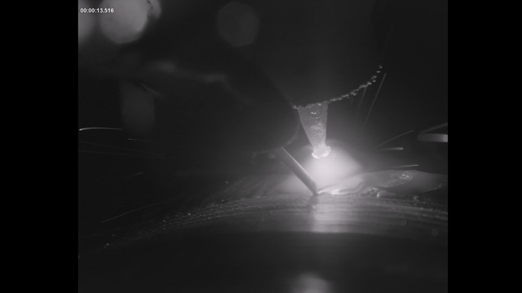 Instead, Xiris Weld Cameras can be used to record the process to produce crisp and clear images of the weld head, laser spot, melt pool and weld bead. The result is a video of the process in stunning high resolution and clarity, at rates that can exceed 200 frames/sec. This can allow engineers and scientists to monitor the process live and stop right when an error occurs. Or, the recorded video can then be played back at a higher speed to allow engineers and scientists to review the process from start to finish and carefully review the events of greatest interest at a lower speed, as required. This allows the R&D team to focus on the time of defects and errors, by finding out exactly what went wrong with the process by analyzing the recorded video at the time of interest. The development effort to improve an additive manufacturing process can be long and tedious. Using a Weld camera to monitor the process can both help to reduce the labor required to improve the process but also provide better documentation and highlighting of the process variations as they occur.